Oakville all-inclusiveweb design. Refresh, rethink, get up-to-date. ARE YOU frustrated with your website? It is time to rethink your complete web design and online presence! It’s time for a website redesign! We service Oakville, Mississauga, the Great Toronto Area and the Muskokas in Ontario (from Barrie to the French River). Let us take a look! Ask for your FREE consultation today! All-inclusive business web design, Search Engine Optimization (SEO), web hosting, and related Internet Business Services. We have all the ingredients for a successful Oakville web design project and a fruitful online presence; and we’ve been doing this since the commercial beginning of the Internet in the mid nineties! In this industry experience does matter. 20+ years of experience at your service! a must for today’s company. span of our business life. If your website does not yet conform to modern standards it’s time to redesign. Refresh, Rethink and Get up-to-date. All-inclusive web design and related business cloud services. Working with a single vendor offers unprecedented peace-of-mind. Well-rounded, seasoned team. We love what we do and we can’t wait to share our passion and expertise with you! 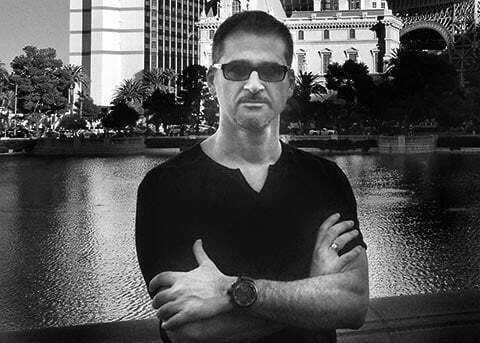 Hello, I am Al Poullis, E-Business consultant, COMMbits Founder, director of brand and tech experiences. Get in touch! We would love to hear from you and help you reach your goals.